This is a top quality diamond coated burr set from DESIC. With 30 cylindrical pieces you're bound to have the 'points' you need for your next carving project, whether it's greenstone, bone or glass etc. 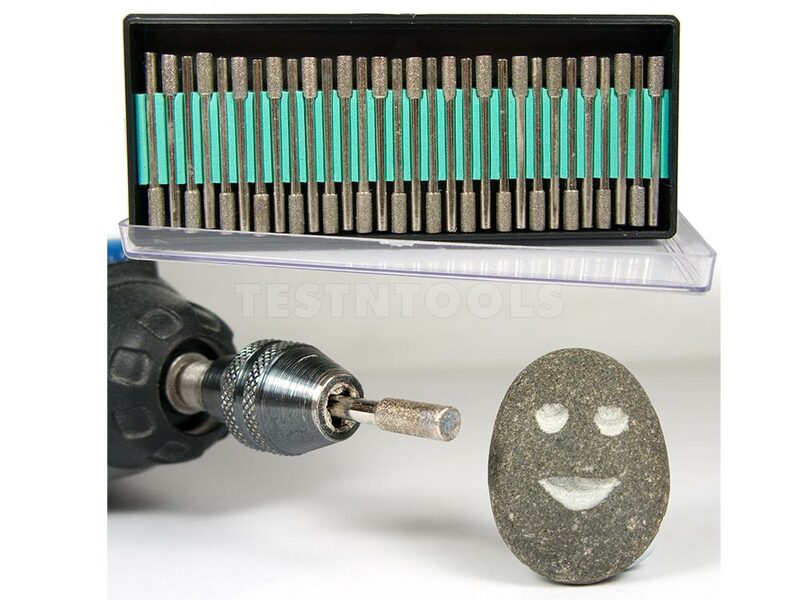 Can be used in all rotary tools including Dremel, Ryobi, Fuller, Ozito, GMC and other generic brands that have a 3.2mm collet (which is 99% of rotary tools). For prolonged life use with water spray to keep the burrs cool. If dry cutting use a slow to medium speed. 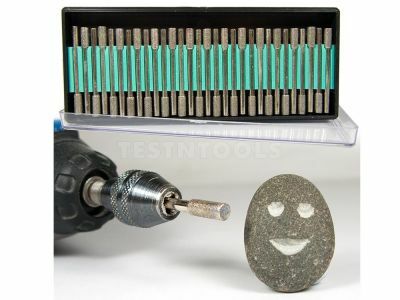 Dremel 300 Rotary Tool and 'Happy Rock' not included!